A Rajshahi court has awarded death penalty to three people for killing Rajshahi University teacher Professor AKM Shafiul Islam in 2014. Judge Anup Kumar of Rajshahi Speedy Trial Tribunal delivered the verdict on Monday. The convicts are--Sabuj, Jubo Dal activist Abdus Samad Pintu and former Katakhali municipal unit Jubo Dal organising secretary Ariful Islam Manik. The court also acquitted eight people in the case as they were found innocent. Earlier on April 4, the court fixed April 15 for pronouncing the verdict in the murder case. 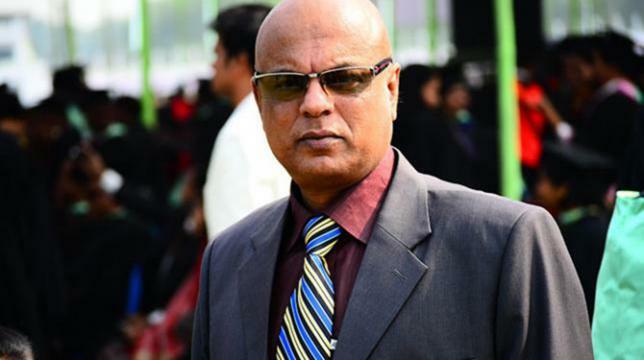 A number of unidentified assailants stabbed Prof Shafiul of sociology department to death on November 15, 2014 when he was returning home at Choddopai area in Rajshahi city. The RU Professor was known as a progressive teacher and a Lalon songs enthusiast. Ansar Al Islam Bangladesh-2 claimed the responsibility for the murder on social media soon after the murder of Prof Shafiul. A murder case was filed the following day while police arrested three extremists. On November 30, 2015, DB Inspector Rezaus Sadik submitted the charge sheet and ruled out any militant outfit's involvement in the murder.